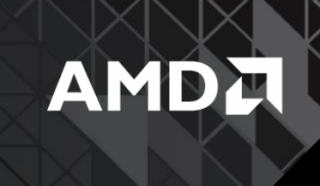 AMD has announced a significant restructuring of its graphics division, forming the new Radeon Technologies Group and promoting Raja Koduri to the role of Senior Vice President and Chief Architect. He will be reporting to AMD’s President and CEO Lisa Su. The new group is also basically reconstituting the ATI brand that was retired a few years after AMD bought it in 2006. In other words, AMD's CPU and GPU divisions, which have been combined for several years, are being separated into distinct teams. Raja Koduri will be “responsible for overseeing all aspects of graphics technologies used in AMD’s APU, discrete GPU, semi-custom, and GPU computer products.” He has 20 years experience in the industry both at AMD and elsewhere, serving as director of graphics architecture at Apple for four years, where he oversaw the transition to Retina computer displays. With AMD, Koduri has worked on the first graphics chip with integrated high-bandwidth memory, and he also led AMD’s LiquidVR initiative. AMD has been seeing a decline in popularity of its graphics cards over the past few years, with Nvidia owning an 81.9 percent market share this quarter, according to PC Perspective. AMD is left with just an 18 percent share, down from its 37.9 percent market share last year. It's possible that the new Fury cards will give AMD a bump at the high-end, but stock shortages have made them hard to come by. That relative scarcity, and AMD's lack of significantly new graphics cards in the mid-range category, means they have their work cut out for them. AMD CEO Dr. Lisa Su claims that “with the creation of the Radeon Technologies Group we are putting in place a more agile, vertically-integrated graphics organization.” That, presumably, is a good start towards a stronger, more efficient graphics team—which makes us wonder what this means for AMD's CPU development, which is pinning its hopes on next year's Zen architecture.